Join us and special guest co-hosts @rankal/Kickback, Susan Matisi (@Suzy_Q_Matisi) and Mark Smith (@mainstreamlive/Arlim on Youtube) for a “Ranger Convention Survival Guide: Power Morphicon. With Power Morphicon only two weeks away, we give you the low down on what to expect at the convention and VITAL tips of every aspect of the con going experience. If you are a seasoned convention pro or a first time con goer, this episode is a must listen. We also have a special message from AUSTIN ST. JOHN, the original Red Mighty Morphin' Power Ranger at the beginning of our show. Episode 19 will be our first LIVE episode from Power Morphicon! More details soon! 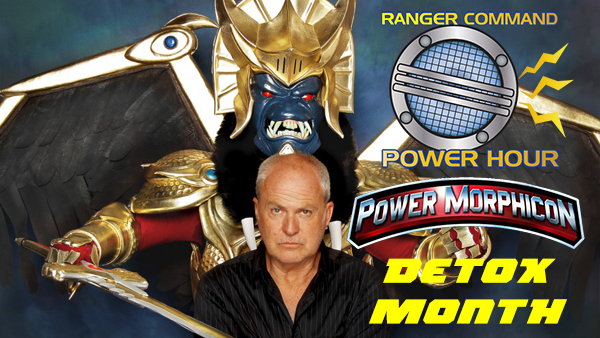 Here's Ranger Command Power Hour's plans for The Official Power Morphicon Convention. Hope to see everyone there! We answer your questions about Power Morphicon live from the show, all while eating In N’ Out and drinking. It's time for our ‪#‎RangerNation‬ Answers question! What was your favorite ‪#‎PowerMorphicon‬ 2014 Memory? You can also submit an audio response! 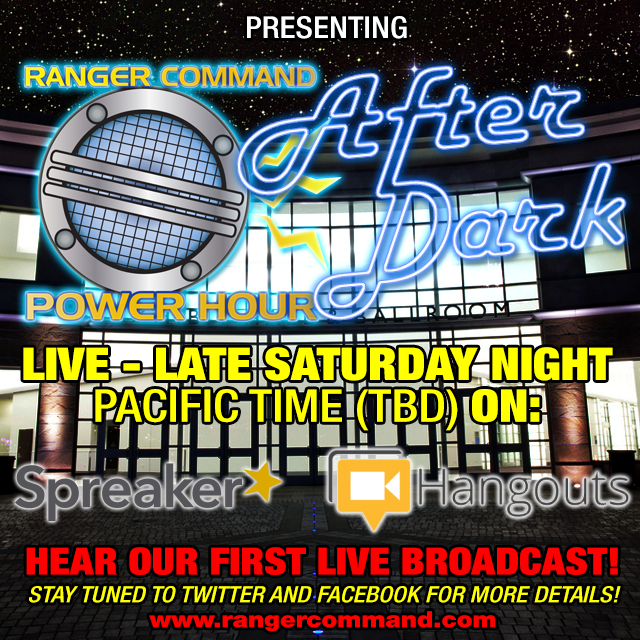 Please send your clip (under 3 minutes) to rangercommandpowerhour@gmail.com by 9/4! 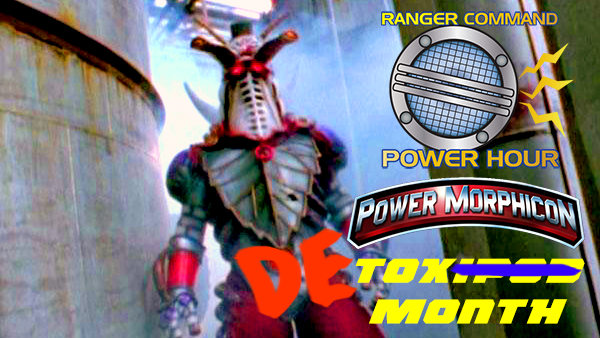 This month is Ranger Command Power Hour's Power Morphicon Detox Month. Every Saturday in September we premiere a new episode interviewing fans (and maybe special guests) about their Power Morphicon experiences. Susan aka @Suzy_Q_Matisi - public Relations Manager for Austin St. John, and Steven Zurita aka @StevenZurita - Animator, Director, Writer, Editor, VFX Artist for Annoying Orange, “Sour Rangers” short and HyperDrive Pictures on YouTube “Power Rangers Essentials”. We talk about our experiences at Power Morphicon, a few surprises and helping a member of #RangerNation. 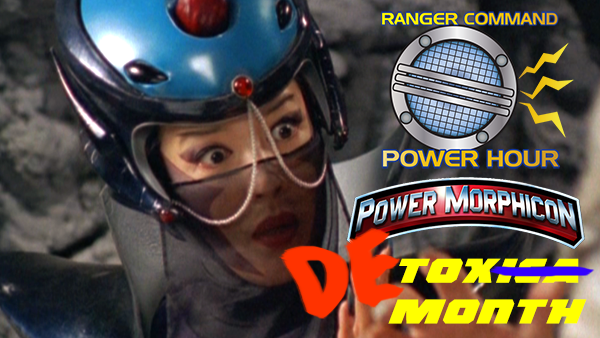 This month is Ranger Command Power Hour’s Power Morphicon Detox Month. Every Saturday in September we premiere a new episode interviewing fans (and maybe special guests) about their Power Morphicon experiences. @DrSciFi of @TheDrSciFiShow and Richie Gray, a fan we had the pleasure of talking to the last day of the show. We talk about our experiences at Power Morphicon, comparing Ranger Nation to fans of other franchises, Line Con at PMC and connecting with new friends. We talk about our experiences at Power Morphicon, including the Power Force breakfast, con craziness, and unexpected but hilarious technical errors. This episode concludes Ranger Command Power Hour’s Power Morphicon Detox Month. Today’s episode is completely uncensored and may contain language unsuitable for minors. In “Ranger Command Post Power Morphicon Wrap Up Part GOLDAR", @trekkieb47 and @TheCinemaSlob have a conversation with Kerrigan Mahan (@TheTrueGoldar) once again. He is known for his roles as Goldar in Mighty Morphin’ Power Rangers through In Space, The Magna Defender in Lost Galaxy, Jeb the Talking Dog in V.R. Troopers and numerous monster voices in the franchise. We talk with Kerrigan about Hollywood life, his history as a voice actor in the entertainment industry, learn some important life lessons and oh yah, talk a little bit about Power Morphicon. We are excited to announce we are interviewing the cast of "Teenagers with Attitude" this Saturday! Post your questions for the cast here! In “Rangers International", our intrepid hosts are back together, just the three of them. They tackle the multi-millions the toys and show has made over the years, the growing trend of fan petitions, the concept of international airings before the US and finally an epic teardown of the last episode of Super Megaforce, "Legendary Battle". The only spoilers happen in the last 20 minutes of the show and we make it very clear when they are coming if you want to avoid them. Ranger On! Last edited by trekkieb47; October 11th, 2014 at 12:39 PM. In our 25th episode, "Ranger Nation Interview: The Cast of Teenagers with Attitude" we welcome the cast of “Teenagers with Attitude”, the fan film created by Cisco Davis, Jr.
"Teenagers With Attitude" is a fan film that features a re-imagined cast of the original five teens before they meet Zordon and become the Power Rangers. Kelvin Drama is an actor from Baltimore that plays Jason. Sophia Reaves is a young actress and singer from the Baltimore-Washington area that plays Kimberly. Hayden Livesay plays Zack and is a dedicated actor from the Baltimore-Washington region who now resides in LA. Jennifer Ortiz is a talented actress from Pennsylvania that plays Trini. James R. Ling is an actor from Pennsylvania who plays Billy. Cisco Davis Jr., is the creator, director, writer, producer and visual effects maker of the Power Ranger fan film projects Zordon of Eltar and Teenagers with Attitude. Teenagers with Attitude was released last month and is available on YouTube. 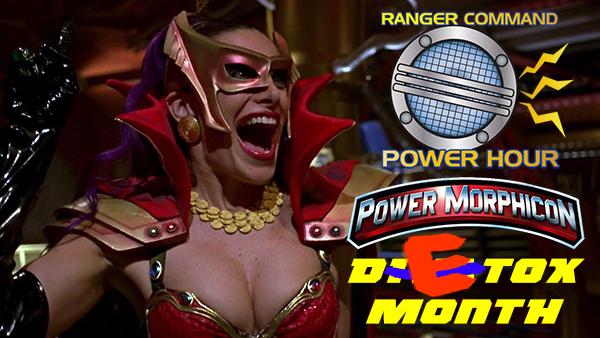 In “Rangers Crossover", our hosts jump a dimensional rift as they discuss the crossover episodes "A Friend in Need" from Mighty Morphin Power Rangers season 3 and "Shell Shocked" from Power Rangers in Space. They also discuss the latest news including the winners of the #FavRCPHMoments contest, revealing names for #DinoCharge, the cover of Shout! Factory's first Super Sentai release Zyuranger, and Saban Brands press releases regarding the Student Alliance and Fitness Guide. Then the hosts read your #RangerNation Answers and find out who YOU want to crossover into the Power Rangers universe. It's time for Power Rangers in Space (Jam)! Rangers on the Four Eyed Radio Network with RANGER COMMAND POWER HOUR! products for the Power Rangers fan in your life. From toys, video, and comics to clothes, cosplay, props, and art, we cover it all. We also discuss the latest news including a possible extended episode of Power Rangers Super Megaforce, the release date for the first Power Rangers Super Sentai DVD collection of Zyuranger, and revealing Dino Charge packaging news. It's time to Ranger Up, Holiday style! Also, listen to the very end for a special promo for our 11/29 episode! We're recording a special episode on Thursday with returning guests. 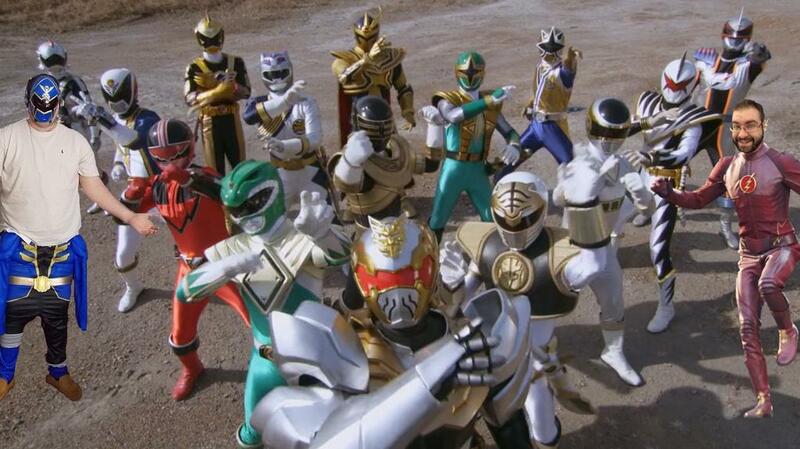 #RangerNation Answers: What will you watch after Super Megaforce ends? 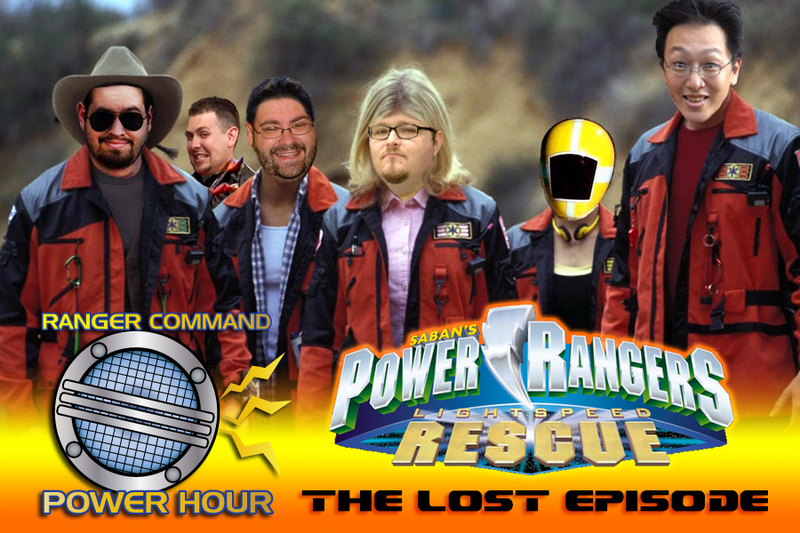 @TheCinemaSlob as they talk all things Power Rangers on the Four Eyed Radio Network with RANGER COMMAND POWER HOUR! In a surprise release, we team up for another crossover! Ranger Command Power Hour & Talkin Toku Crossover Part 3 – what to Do Without the Power. In this crossover, the Rangers contemplate the holidays and have to fight TURKINATOR and BLIZZATROLL. Then the crossover team discusses the Dino Charge Toys, New sounds that were unlocked in the Morpher and What to do without new Power Rangers episodes to watch until February. Since Power Morphicon's reveal of the Power Rangers Dino Charge cast, combined with the international airings of Super Megaforce, fans are anxiously awaiting February's premiere. What will Judd Lynn bring to the table? What can we expect to be used from a season like Kyoryuger? What will we watch in the meantime? ARE YOU READY TO CHARGE IT UP? In our first commentary track episode, our hosts do some drinking while watching Power Rangers Super Megaforce, “The Legendary Battle: Extended Edition”. This episode is meant to serve as an episode commentary like what you would find on a DVD or a Riff track. For maximum enjoyment please watch along with us! We are watching a recorded copy of The Legendary Battle Extended Edition. You can watch with us on nick.com! At the time of this recording this extended episode was not available on Hulu, Netflix or DVD. In this special "Lost Episode" of Power Rangers Lightspeed Rescue, the Ranger Command team have traveled to Mariner Bay, California for the holidays. They quickly find themselves wrapped up in the events of a lost episode of Power Rangers Lightspeed Rescue! As things heat up, they call upon some familiar help from another podcast team, @TalkinToku! This audio drama was written by @secretrangerfan and an idea collaboration with @trekkieb47. This episode features audio from Power Rangers Lightspeed Rescue episodes; "Operation Lightspeed", "Lightspeed Teamwork", "Trial By Fire", "Cyborg Rangers", "Up to the Challenge", "Go Volcanic" and "Olympius Ascends" and the voice talents of @trekkieb47, @secretrangerfan, @TheCinemaSlob, @rankal, @SoulinkChu, @DenO_Tokunation. Happy Holidays from all of us at Ranger Command Power Hour!